Oregon Vineyard Supply and Wilson Orchard and Vineyard Supply have joined forces in a merger which was finalized on December 20, 2018. 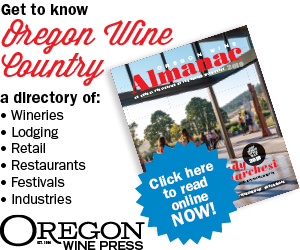 Oregon Vineyard Supply is based in McMinnville, Oregon. Wilson’s headquarters are in Yakima, Washington. The combined company will operate under the name OVS – for Orchard & Vineyard Supply – and will soon be introducing a new logo which honors the heritage of both businesses. For 31 years, Wilson has been a leading provider of irrigation, trellis, and crop enhancement supplies to apple, grape, cherry, stone fruit, citrus, hop, berry and nut growers. With recent expansion and acquisitions, Wilson has 6 locations in Washington, 1 in Oregon, 2 in California and 1 in New York, as well as a growing web presence serving growers nationwide. Oregon Vineyard Supply was founded in 1985 and offers a wide array of agronomic solutions. In addition to growing supplies, Oregon Vineyard Supply provides agricultural chemicals and fertilizers, farm equipment sales, service and parts, as well as providing vineyard management services via its separately managed Results Partners division. Oregon Vineyard Supply operates out of 6 locations throughout Oregon and Washington. “While Wilson has focused on sales of growing supplies and has a larger geographic footprint, Oregon Vineyard Supply is more of a one-stop shop offering a wider range of solutions to growers. Joining forces, resources and product sourcing allows the combined company to provide a much broader, more complete range of solutions to fruit and nut growers throughout the West Coast, and even nationwide,” said Wilson CEO Joe Perry. The combined companies have already begun to invest in multiple ways to deliver greater value to their customer base, including offering irrigation solutions in Oregon and agronomic solutions in Washington, and opening new locations in the Walla Walla AVA and the Central Valley of California.